A suspect has been arrested for Aggravated Assault With A Deadly Weapon after he allegedly shot a male victim in the leg during an altercation. According to reports from MCSO, at approximately 11:30 AM on March 31, 2019, Deputies with the Montgomery County Sheriff's Office were dispatched to a shooting in the 1300 block of Briar Cliff Street. Deputies arrived to find one male victim with a gunshot wound to the leg. Detectives with the Montgomery County Sheriff's Office Homicide/Violent Crimes Unit responded to the scene to investigate. Detectives learned that this incident was related to a previous dispute over ownership of a truck between a woman and her estranged husband. During the altercation, the woman's boyfriend, Austin Kyle Lyon (W/M DOB 11-18-94), went to his vehicle where he retrieved a firearm, and shot the victim once in the leg. Deputies located Austin leaving the area of Forest Lane and Main Street on foot in the Tamina community. Austin's vehicle was found hidden on a nearby property, where detectives subsequently recovered the firearm used in the shooting. 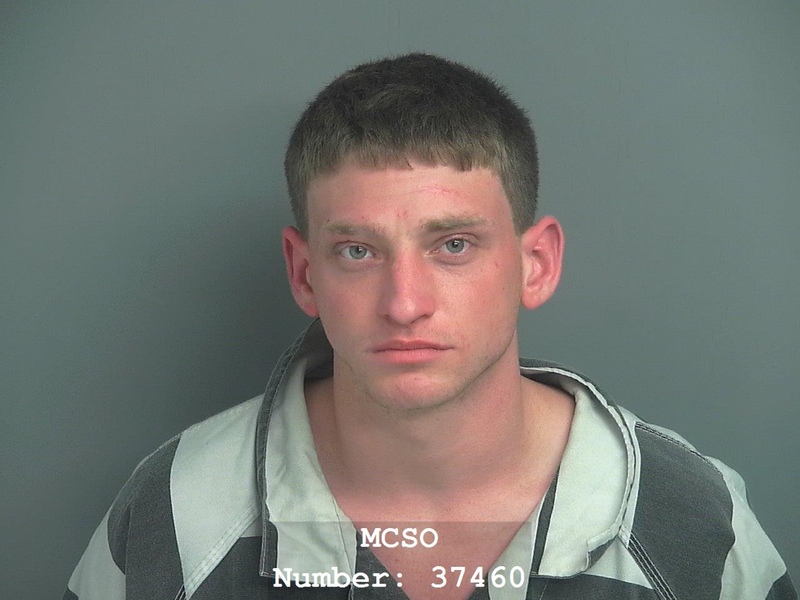 Austin was placed in custody for Aggravated Assault with a Deadly Weapon, and was transported to the Montgomery County Jail where he is being held on a $50,000 bond. The male victim was treated by medics, and transported to Memorial Hermann Hospital in The Woodlands in stable condition. Dang, glad he was caught. Glad that no one was killed. His life was almost over at a young age.